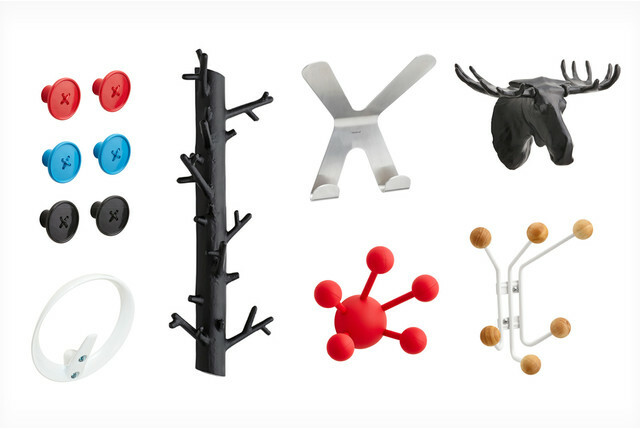 Simple, sleek and highly practical, the Venea 5-Hook Coat Rack combines modern European design with dependable German craftsmanship. It's strong enough to accommodate multiple coats, jackets, towels, robes, handbags, hats or backpacks. And, it's stylish enough to display in any room at home or at the office. How much weight does this hook hold? When mounted into wall studs, our Venea 5-Hook Coat Rack will hold up to 10 pounds per hook, for total combined weight capacity of 50 pounds. While our Venea 5-Hook Coat Rack is crafted from rust-resistant stainless steel and coated steel, in an outdoor application, rusting is still a possibility.